Suntide slot is a fruit-themed game, and there are opportunities for players to expand their wins. The 3D video format shows few birds and a yacht sailing at sunset in a brightly yellow view. The background music brings a nostalgic feeling of a club on a tropical island. You know when you hit a big win with the chimes announcing it. The 5×3 reel slot game comes with nine paylines to play for real money, and the bet ranges from £0.01 (minimum) and £22.50 (maximum). Lucky players will trigger thirty free spins before they get the results on the game’s pay table. Usually, payouts come to gamblers according to the Paytable results. The bet times the payline wins will give the total prize money. 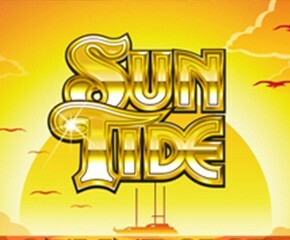 Suntide casino slot has a 96.28% RTP with expanding wilds and free spins features. Wherever you are, enjoy Suntide slot on your iOS, windows, and Android platforms. The fruit slot symbols represent the low pay symbols like the values on the playing card, watermelon, cherries, oranges, lemons, and strawberries. While the high-value icons are; sevens, gold bars, and diamonds. Stake your bet with the +/- buttons before spinning at the selected bet. You can also select AutoPlay feature when you want less gameplay, and automatically turn the reels. When you land at least three symbols at the reels, it’s a chance to earn prizes. The gold medallion is the wild symbol of Suntide that has an ‘S’ inscription. The wild symbol replaces all others except the scatters (tropical sunset icon). During the game, the gold coin becomes an expanding wild that adds extra wins for players. So, with the free spins feature, the wild symbols will expand on reels 3, 2 and 4. When there is a winning combination, the wild symbol expands. The bet that players stake multiplies the Scatter wins. The scatter wins are a tropical sunset symbol, and when gamblers display at least three symbols, this triggers the free spin feature. At first, there you’ll get fifteen free spins and a chance for extra wins. 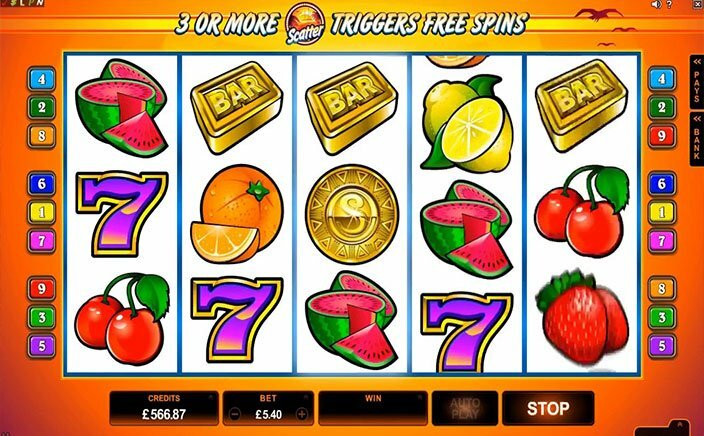 You can re-trigger more free spins by landing more similar symbols. Enjoy some summer experience in the tropics and make scorching wins with this fruit-themed. The gold bar and other low-value symbols are chances to reward your pocket even when you lose. The choices for winning across the nine narrow paylines will excite players that love this game.